Whether you prefer them neat and orderly or a jumbled pile, consider Endless Basket Outfitting for Halloween Skulls this Holiday Season. These 3’ length units are upright mounted in Standard Level Mode. But do not overlook that a declined Gravity Feed Mode is also possible which keeps your Skulls forwarded for visibility and sale. 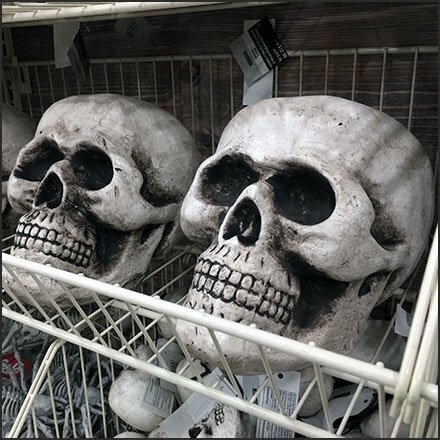 This Endless Basket Outfitting for Halloween Skulls seen at Michaels.